There wasn't much luck for either Gaynor Cup team this week as the U14's Finish in 11th place while U16's Finish 16th. The U16's lost all bar one of their games by a single goal and their final position doesn't do Justice to their efforts over the week. A 1-0 defeat on Saturday to Sligo/Leitrim in the Bowl Semi Finals was followed by another 1-0 reverse to Cork on Sunday. The U14's were beaten in the plate semi final by Inishowen on a scoreline of 2 goals to 1 with Grace Fitzgerald getting the goal. On Sunday they played Sligo/Leitrim for the 11th/12th place finish. They led 2-0 at half time before finishing the game level at 3-3. Grace Fitzgerald, Aoife Cronin & Emma Kett on target. After a nail biting penalty shootout the girls prevailed with all 5 girls scoring. 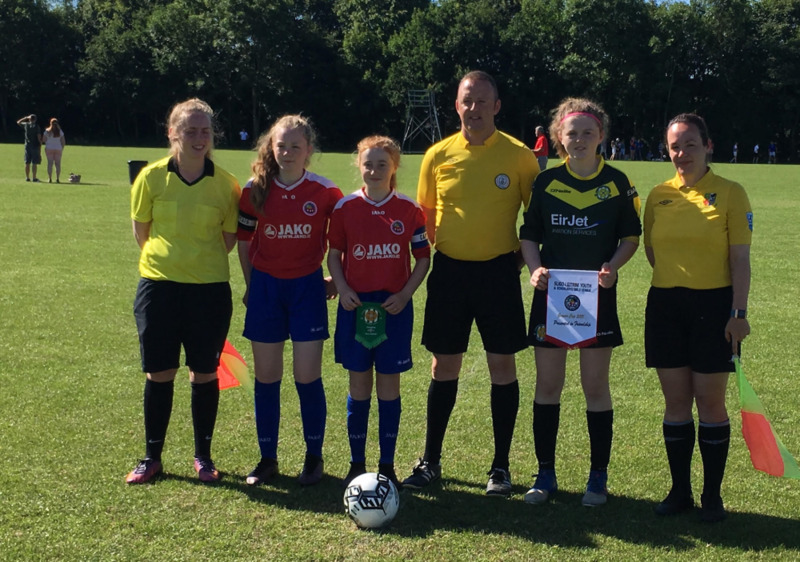 The penalty takers were Jodie Keane, Aine Walsh, Aoife Cronin, Libby, Costelloe and Jenna Slattery. Well done to all girls who participated the weekend and we hope ye enjoyed it all.